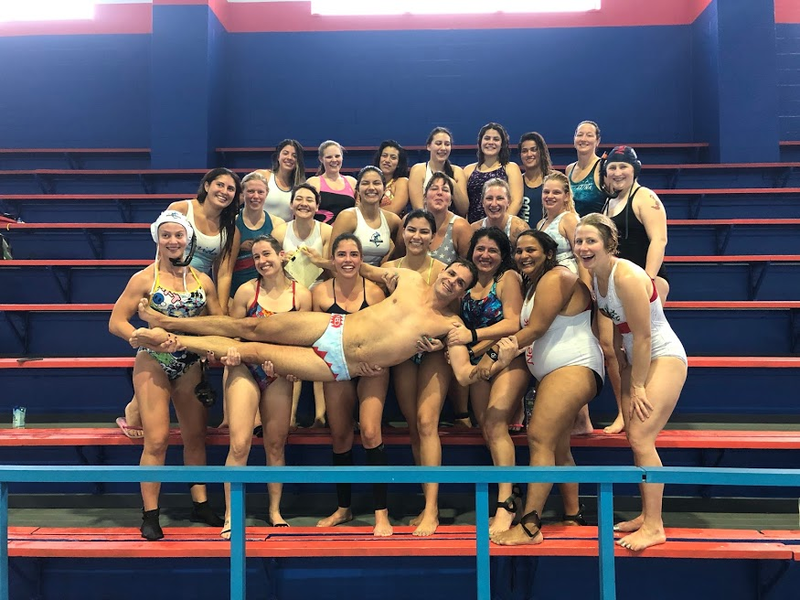 During the weekend of December 9th, 23 women united for the first set of tryouts for the Underwater Rugby USA Team. Juan Sevillano was nominated to be the team coach earlier this month and has coached the women at the previous World’s competition in Cali. He was well prepared with fitness testing and drills sent to participants in advance. Women from all American UWR teams were represented and flew in from Florida and California. There were several players from states that don’t currently have teams, and a couple underwater hockey recruits. 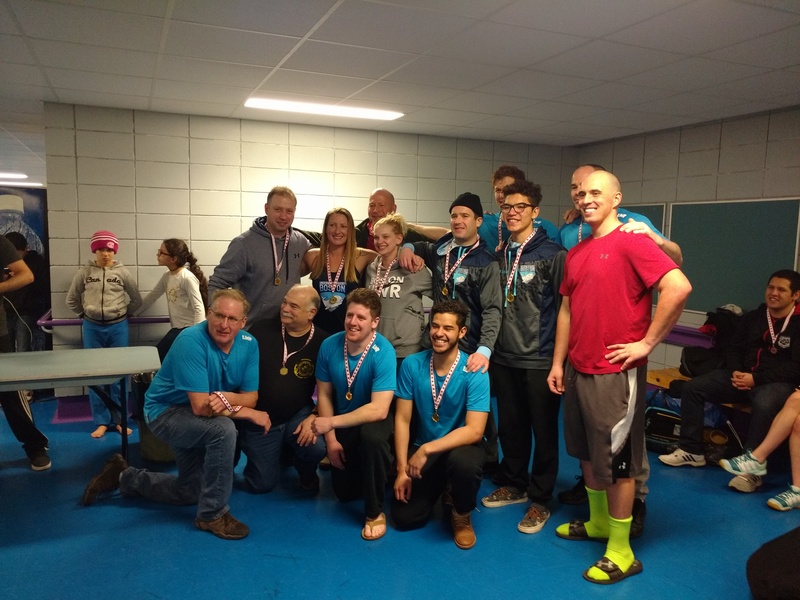 There was a lot of experience from the Boston Narwhals team (MA), new talent from the East Haven Makos (CT), local players from NUWR and the New Jersey Hammerheads, and some excellent speed from competitive swimmers and fin swimmers alike. The ladies had ten hours in the pool over the weekend but the unexpected fun came out of the pool with a potluck and fitness games at one of the local players homes. Two more tryouts next year, before the team is selected in May. Get ready for a fun ride! Juan is already flying high. The new 2017-18 North American League (NAL) for Underwater Rugby season is about to start in just two weeks in Newark, NJ a city just 40 minutes from New York City. This time hosted by the New Jersey Hammerheads club, the first round of the new season hopes to be the milestone of the new ladies tournament during NAL events. After the unfortunate events of the 18th NAL that had to be cancelled due to hurricane Irma, the Canadian and US clubs are eager to resume UWR playing soon. The new season brings changes to the NAL rules on which the most important is the “guest rule” on which club teams can only have a max. of 2 guest players (reduced from 3 from the previous season) The amended rule encourages teams to keep developing local talent. The 19th NAL tournament will be also the first participation of the U-21 candidates as a team looking forward to their preparation for next year’s 1st CMAS UW Rugby Championship in Germany. The US National Underwater Rugby team coaches have been elected this past Sunday September 17th. 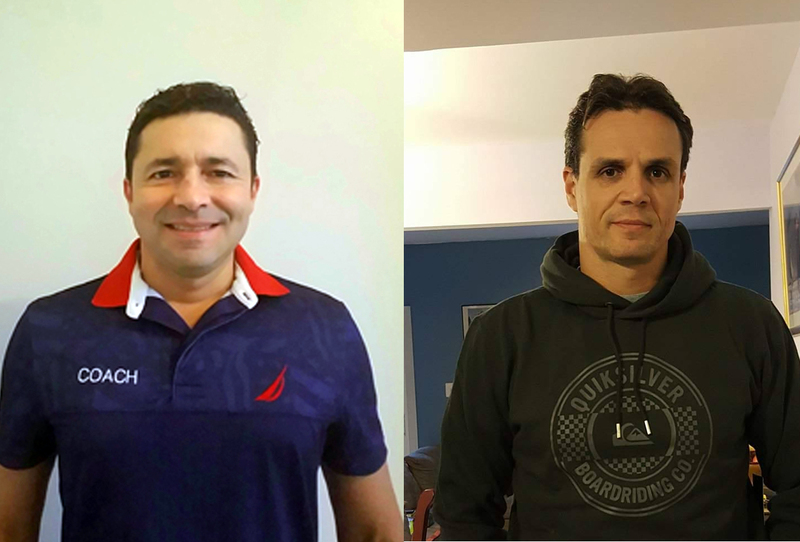 The election process began a coupe of moths ago through a process involving all the active UWR clubs in the US through the selection of representatives from each club to be part of a National Coach Election Committee and the USOA Underwater Rugby Director Rolexi Pinzon. Jose Luis Echeverry was re-elected as the USA Elite Men’s Team National Coach. Jose has an extensive history in the sport as a player as well as coach. Jose participated as a player on the World Championships of Denmark 2003, Colombia 2015 and was the USA Head coach during the WC Colombia 2015. He is the co-founder and Head Coach of the New Jersey Hammerheads. Juan Sevillano was also re-elected as the USA Elite Women’s Team National Coach. Juan has and extensive history as an Underwater Rugby player including the World Championship Colombia 2015 on which he was the Women’s National Coach. Juan Pablo Riomaña was elected as the new coach for the U-21 Women’s Team. Juan Pablo will work in a join effort with Mateo Galeano to put together the first U-21 Women’s team looking forward to next year’s U-21 World Championship. Juan Pablo is an active player from the New Jersey Hammerheads and former USA U-21 team payer. Juan Pablo is one of the top 3 scorers of the North American League 2016-17. Everything was ready for the 18th North American Underwater Rugby Tournament in Islamorada Florida scheduled for this weekend Sept 9-10. But suddenly Hurricane Irma had different plans for the state of Florida and the UWR community in North America. Organized by the Florida Keys Krakens the tournament was going to be a milestone in several aspects for our sport in the US. A woman’s UWR clinic was scheduled as an initial step for the preparation of a ladies team looking forward the next UW Rugby World Championship in Austria 2019. A record of 3 teams registered to a tournament by the same club, the first women’s tournament in the US with 4 teams and the participation of all active USA clubs. And last but not least a record of UWH ladies registered for the first time to give UW Rugby a try as a new sport. Unfortunately everything had to be cancelled just a few days before the start of the tournament due the to the path of Hurricane Irma. Late on tuesday night a conference call took place between the organizers and the club representatives to take a decision on how to approach the cancellation and how it will impact the 2016-17 NAL League. 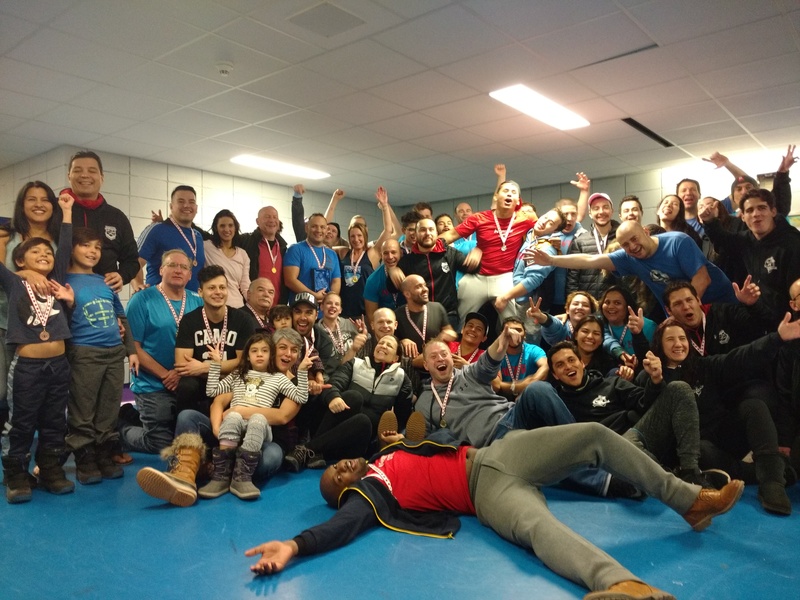 The 18th NAL tournament was the 4th tournament scheduled for the 2016-17 season after the rounds played in Newark, NJ (USA), East Haven, CT (USA) and Montreal, QB (Canada). The NAL committee decided to end the 2016-17 NAL season with the standings after the 17th. NAL. Rescheduling was out of the options since the following tournament 19th NAL tournament was already set and organized by the New Jersey Hammerheads for October 21-22, 2017. With the cancellation of the18th NAL the winner of the 2016-17 NAL Season is the NUWR club from Newark, NJ with 11 points. The first runner-up was Boston UWR with 10 points, and the second runner-up Club CAMO from Montreal with 5 points. 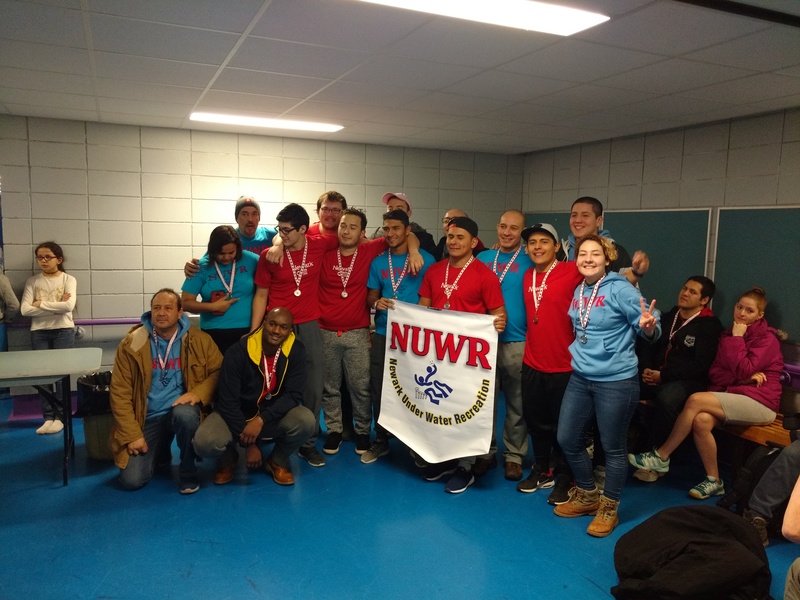 The points from the NAL tournaments that took place in the US also gave the NUWR team the first place for US teams with 8 points, followed by Boston with 6 points and the third place to the Florida Krakens with 3 points. With these results the NUWR team has the first option to participate on the 2017 Champions Cup in Berlin scheduled for November of this year. The 2016-17 NAL top scorer award goes to Flip Mundt (Boston UWR) with a total of 24 goals scored. First runner-ups are Bryan Mosquera (NUWR) and Cesar Florez (CAMO) with 21 goals followed by Juan Pablo Riomaña (NJ Hammerheads) with 18. The start of the 2017-18 NAL season brings many challenges and we hope to carry on and make a successful start with record club participation as well as making the Women’s Club tournament a reality. 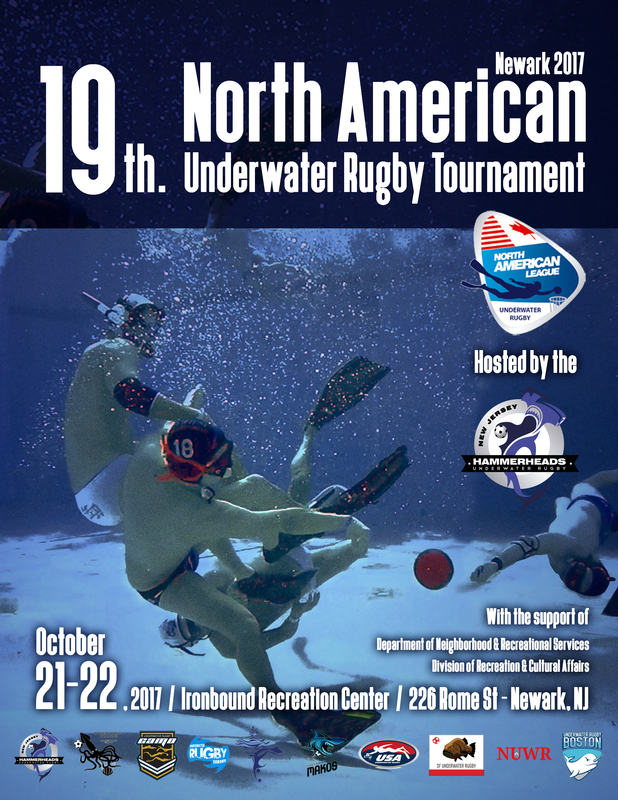 Registration is already open for the 19th North American Underwater Rugby Tournament – Newark 2017 scheduled for October 21-22 at the Ironbound Recreation Center in Newark, NJ and organized by the New Jersey Hammerheads. A club representative conference call is scheduled for September 23rd. To set the parameters of the following season. The NAL committee hope our friends from the Florida Keys Krakens UWR to be safe after the events of hurricane Irma. During the weekend of August 5 and 6th The East Haven Makos Club from Connecticut hosted the first UW Rugby clinic for juniors as a start for the preparation of the next national teams to represent the US on the first CMAS UW Rugby Championship for Juniors scheduled for November 2018 in Germany. 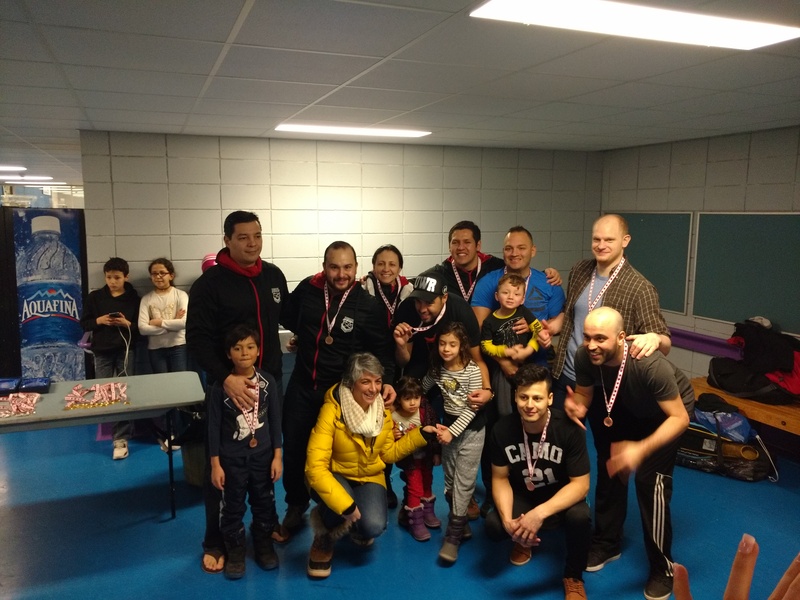 The first “Road to Germany” clinic was organized by the current U-21 coach candidates Mateo Galeano and Juan Pablo Riomaña with the close collaboration of the East Haven Makos head coach Jose Bedoya. 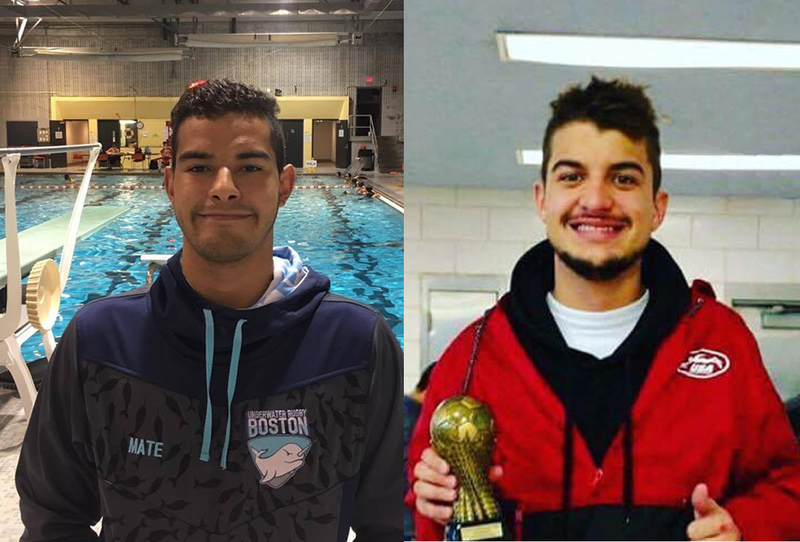 Mateo Galeano was the organizer of the first international participation of a US Junior’s team on an official CMAS event last year during the 10th Open European Championships for Juniors, as well as a player of that team. Juan Pablo Riomaña was one of top scorers of the USA U-21 team last year and an a very active player. Jose Bedoya is the head coach of the East Haven Makos, the powerhouse of young talent in the US. More than 50 percent of the players that participated on the European Championships last year have been part of East Haven Makos teams. The clinic had the participation of around 30 young players from Massachusetts, New Jersey and Connecticut between the ages of 14 to 23 year olds. Also part of the clinic had the local participation of local kids and future Makos’ stars younger than 14. The next UWR clinic for juniors is scheduled for mid September. Details and dates to folllow.